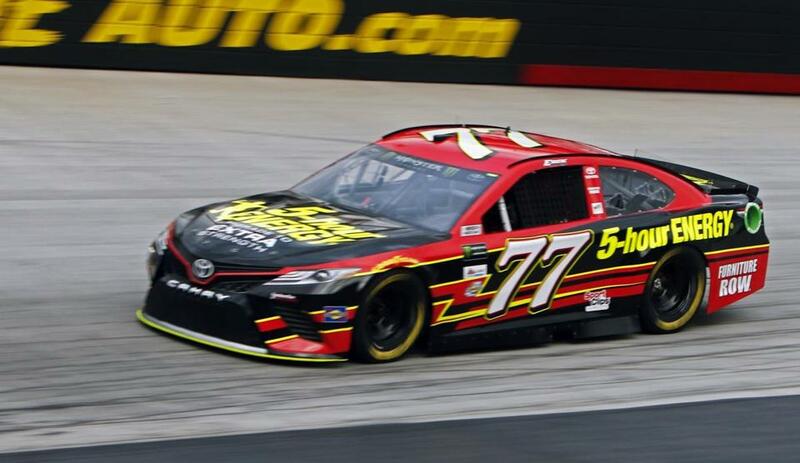 Erik Jones (77) turned a lap at 128.082 m.p.h. to take the top starting spot for Saturday night’s race at Bristol, Tenn.
BRISTOL, Tenn. — Erik Jones’s timing was perfect for his first career pole in the NASCAR Cup Series — at Bristol Motor Speedway, where he’s fighting hard for a playoff position. The rookie turned a lap at 128.082 miles per hour around the high-banked bullring to take the top starting spot for Saturday night’s race. Jones, who drives for Furniture Row Racing, bumped Kyle Larson from the pole. Larson qualified second at 128.057 to continue his hot streak. He won Sunday at Michigan — where he beat Furniture Row teammates Jones and Martin Truex Jr. on the final restart for his third victory of the year. This is crunch time in NASCAR because there’s just three open spots in the 16-driver playoff field. There’s already 13 drivers locked in by race wins — and that doesn’t count Joey Logano, who won at Richmond but failed inspection so the victory is wiped out regarding playoff eligibility. On the bubble for those final spots are Chase Elliott, Kenseth, Jamie McMurray and even Logano — all drivers who made the playoffs last year. Oh, and Jones, who is 16th in the standings. But solid isn’t good enough to get into the playoffs with so many race winners this season. Still, he’s not breathing easy. 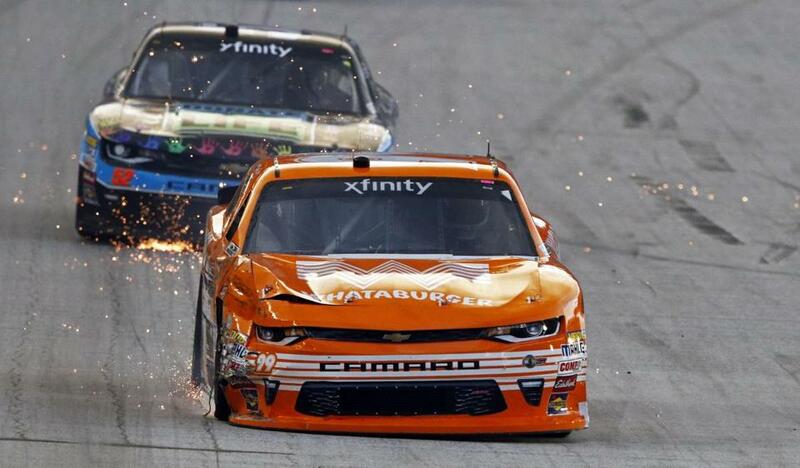 Sparks fly after David Starr (front) hit the wall with Joey Gase trailing.